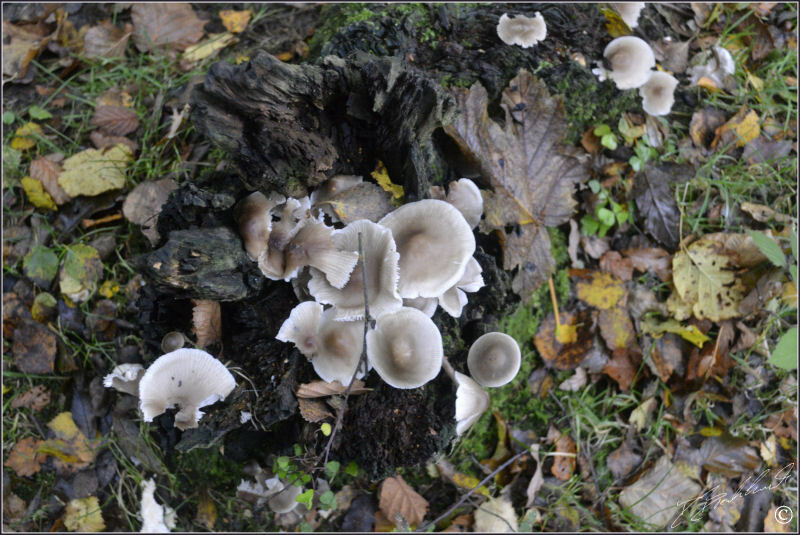 This Fungi was quite prolific in this and surrounding Silver Birch trees - top three photos taken mid Autumn in wood near Brimham Rocks, North Yorkshire and bottom photo taken in woods near Knaresborough. 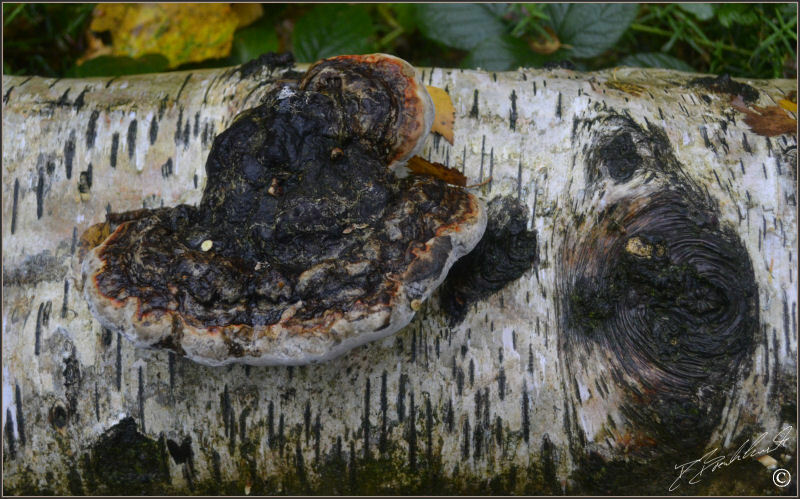 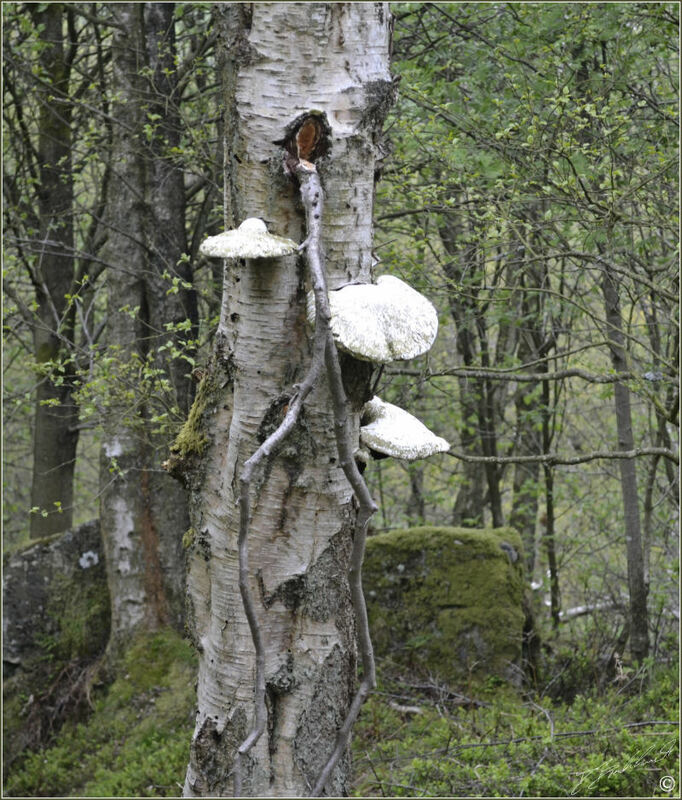 The above Fungi looks similar in shape and size to the above Birch Polypore and is growing on dying Silver Birch trees - photos taken in the Lake District area. 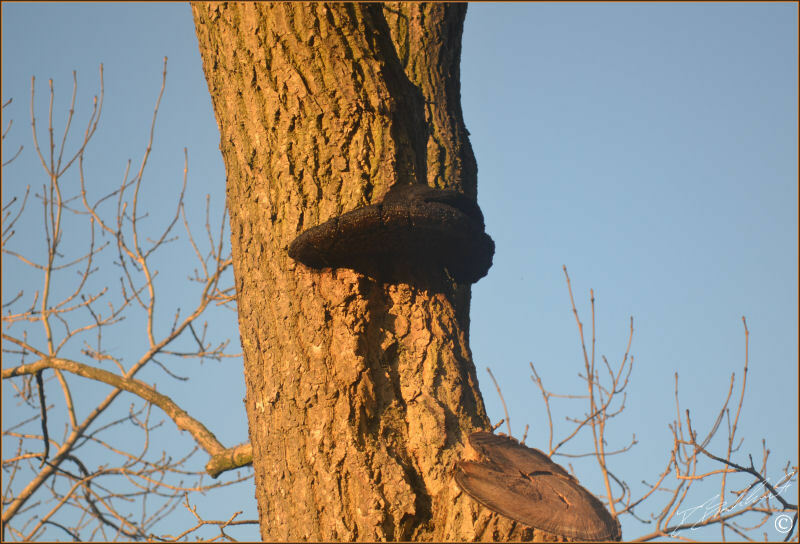 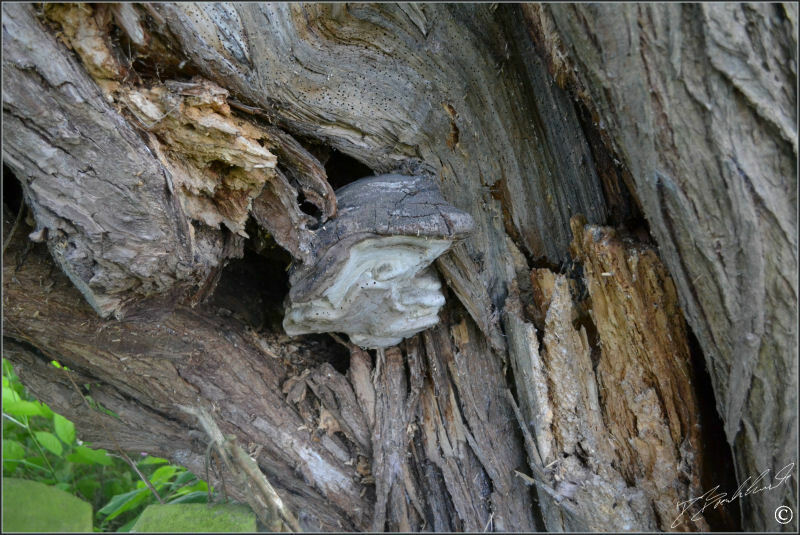 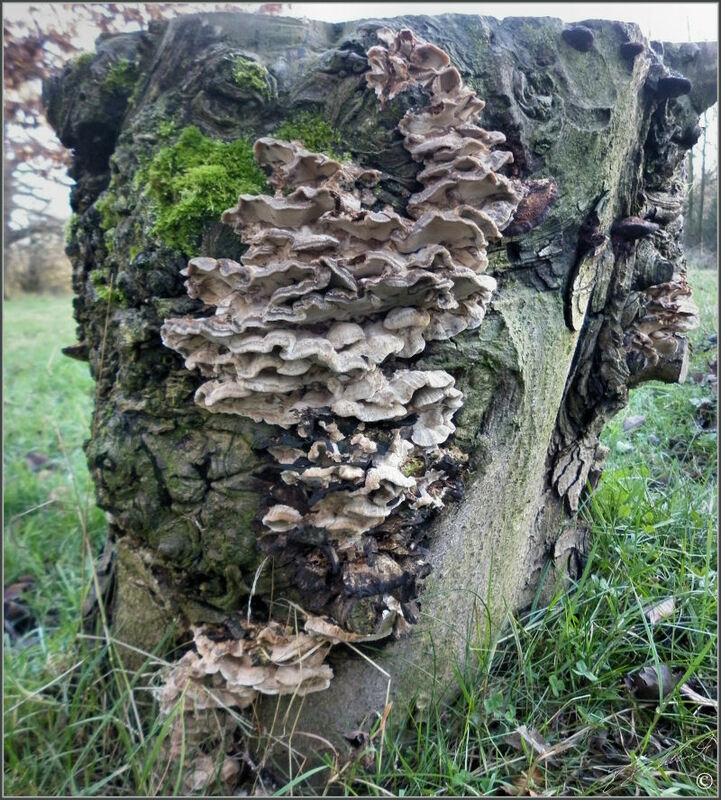 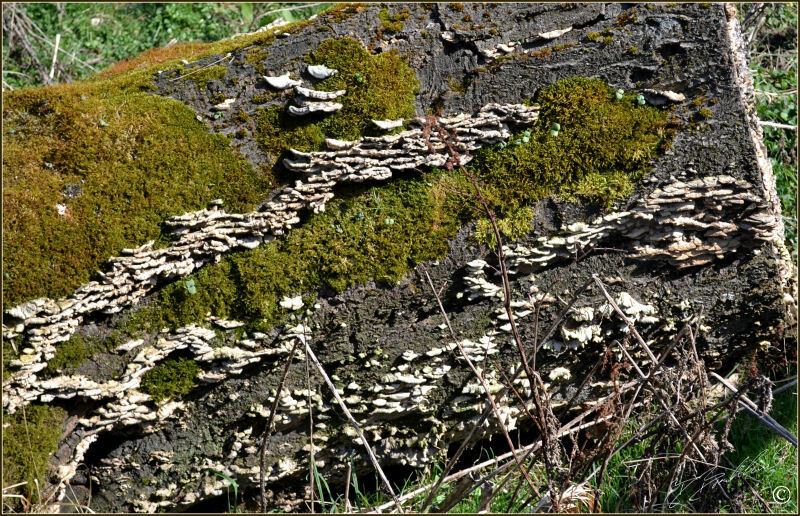 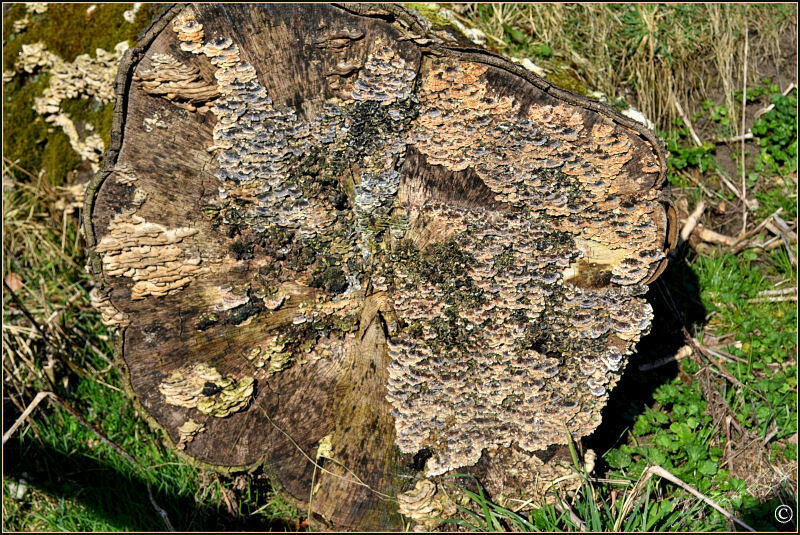 This Bracket fungi may-be of the same species as above (to clarify), however it looks like it is past its best - photo taken at the side of Swinsty reservoir, Harrogate North Yorkshire. 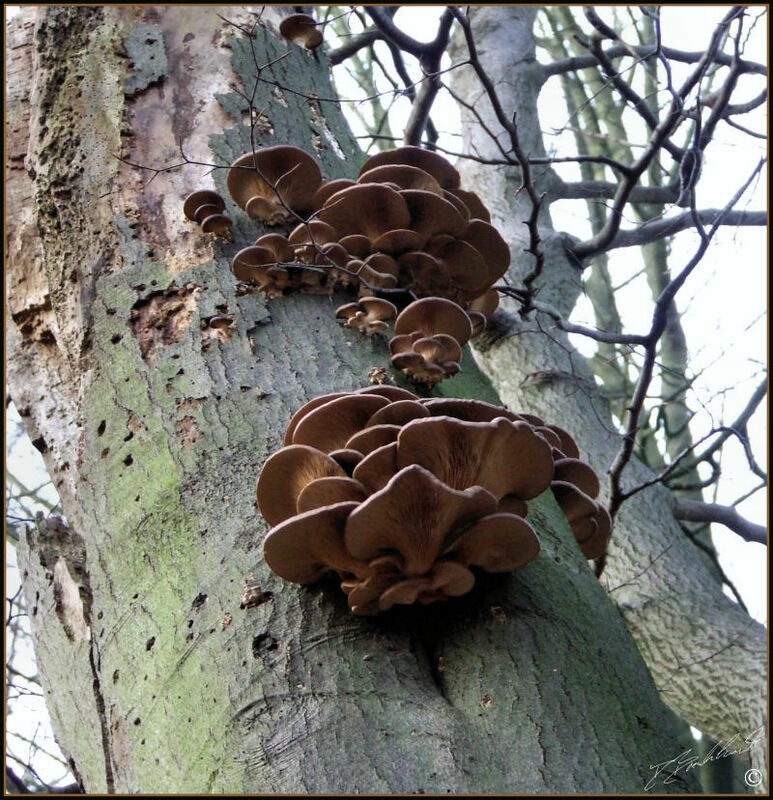 Spotted this Fungi whilst walking through the woods in the Nidd Gorge near Knaresborough, North Yorkshire. 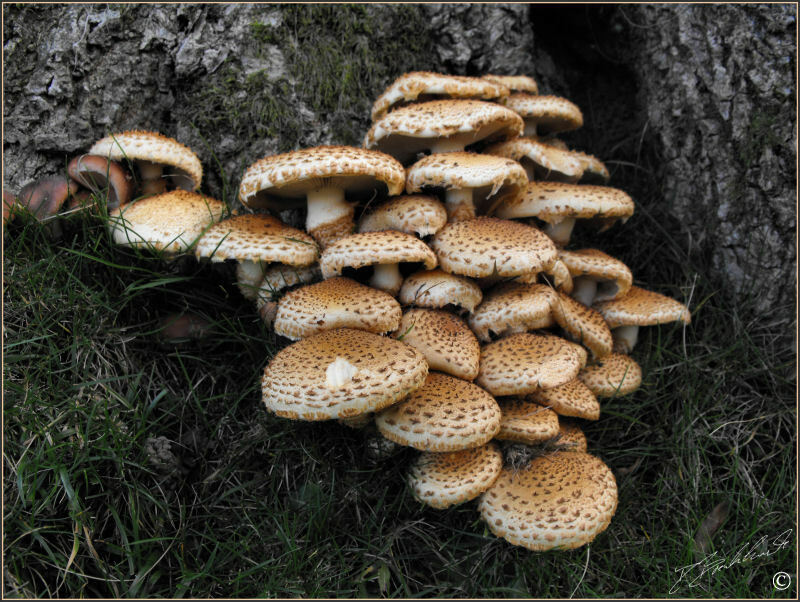 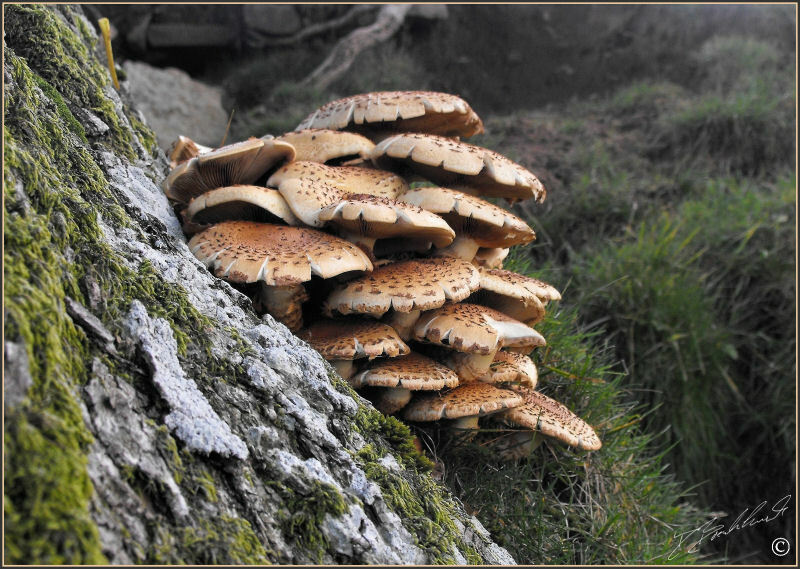 This healthy looking cluster was spotted high up on a dying tree - photos taken in woods near Pateley Bridge, North Yorkshire. 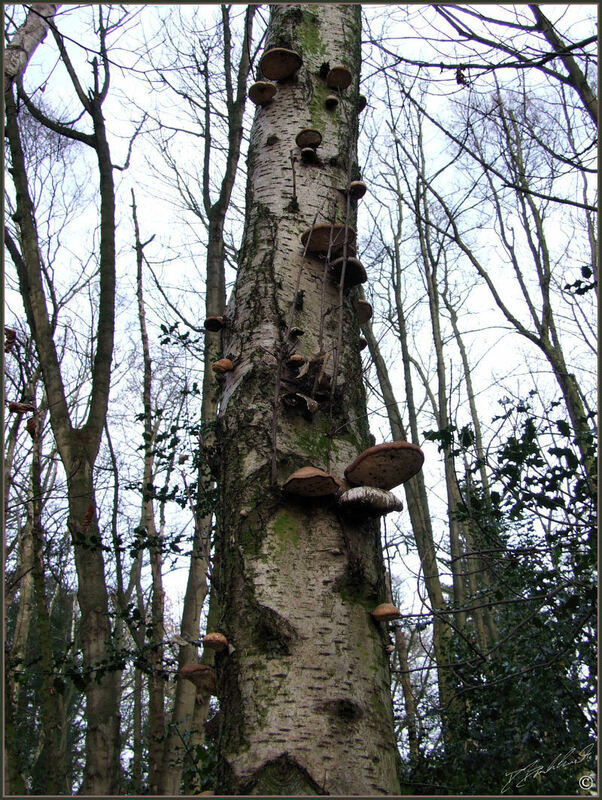 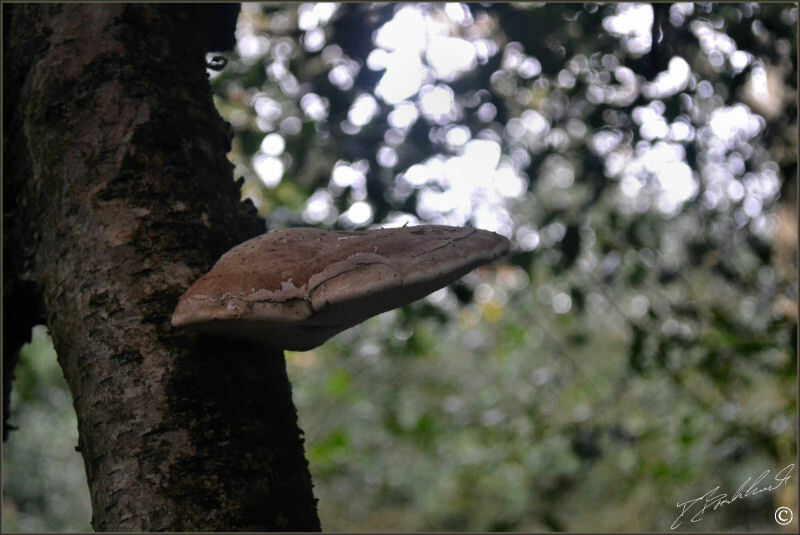 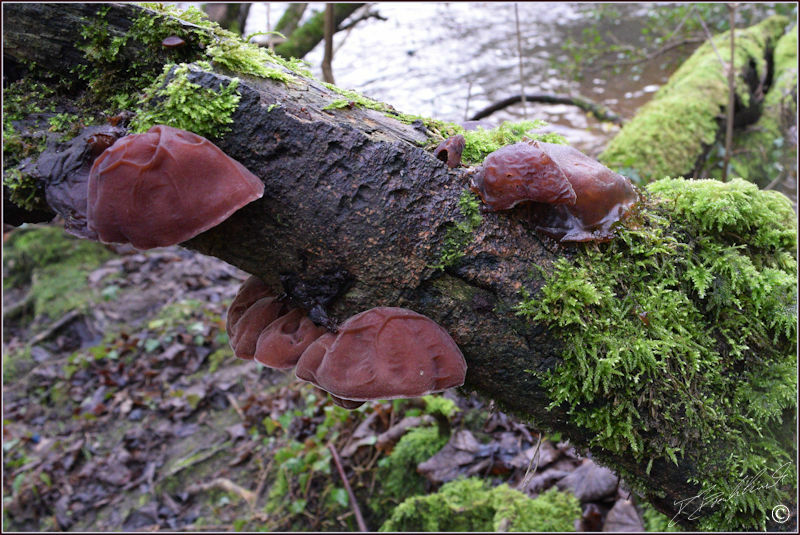 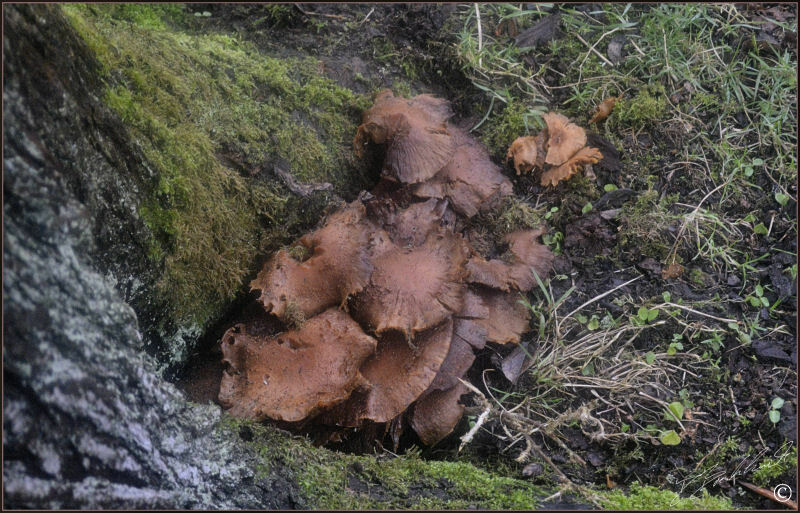 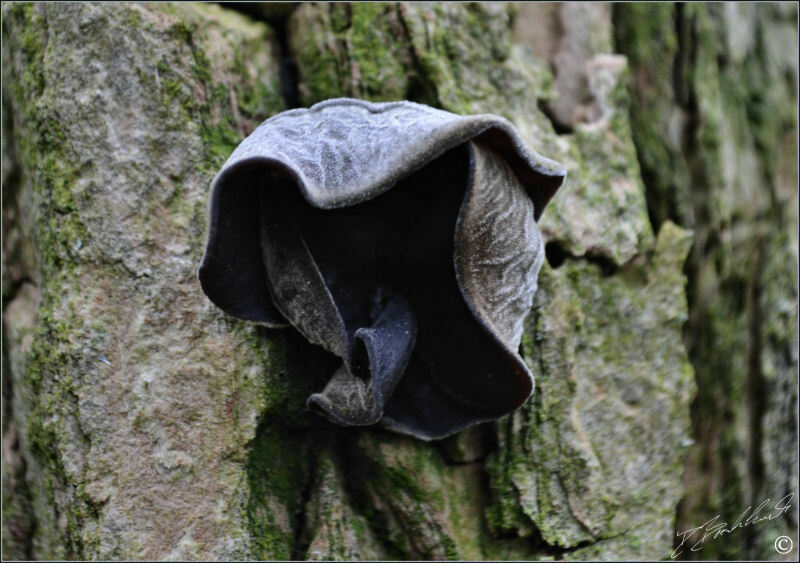 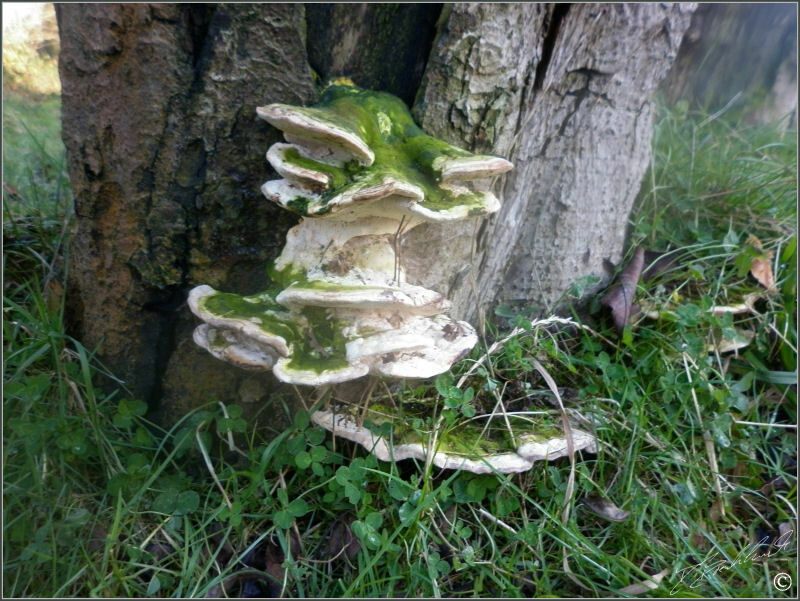 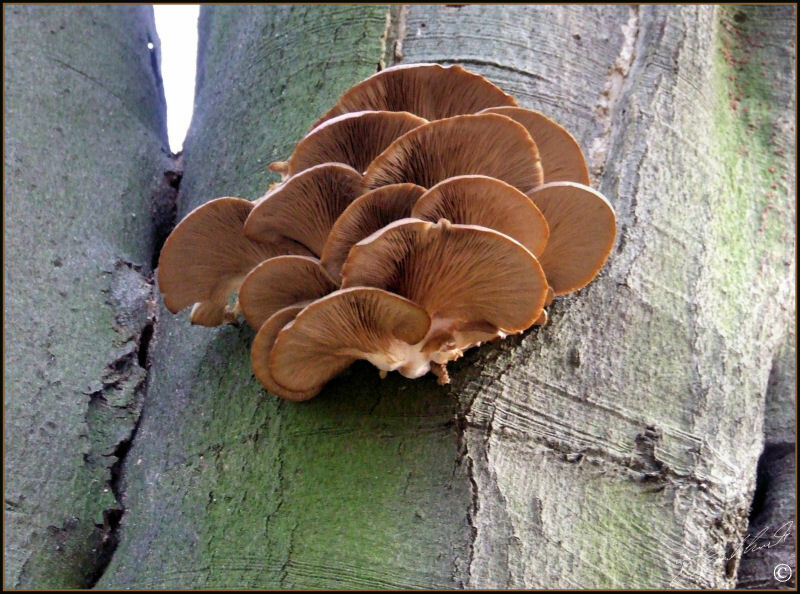 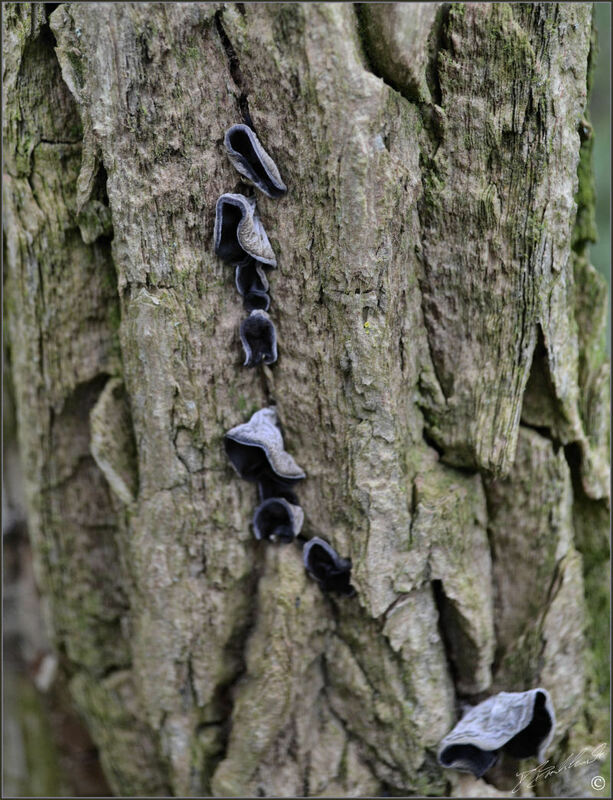 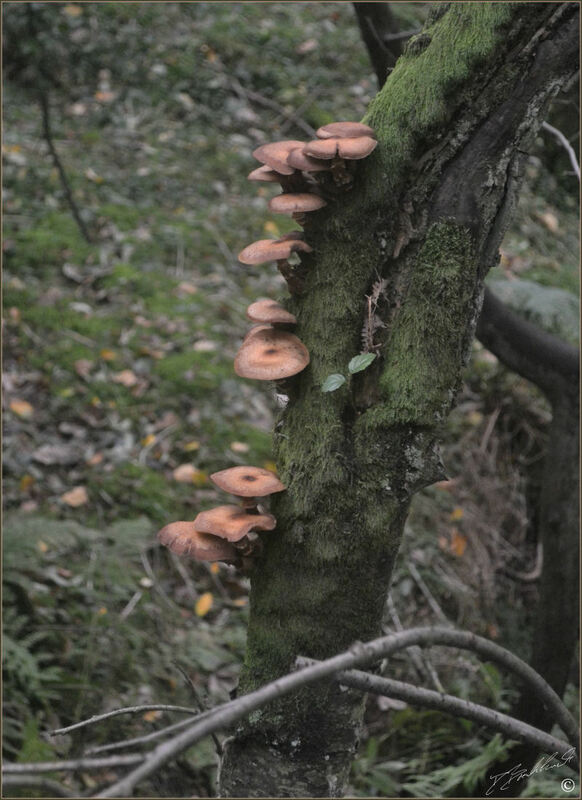 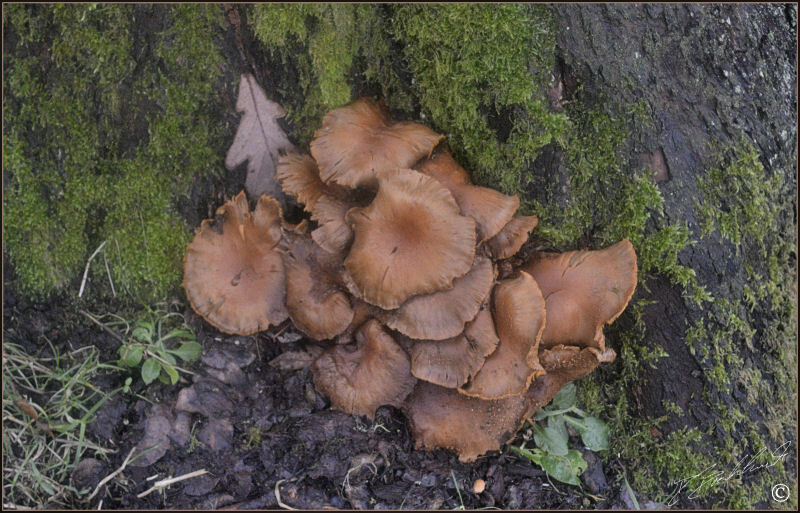 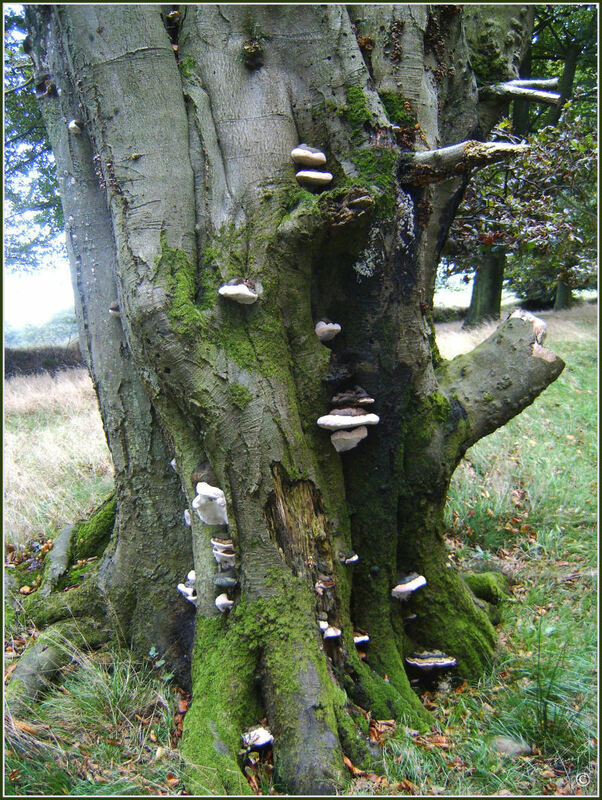 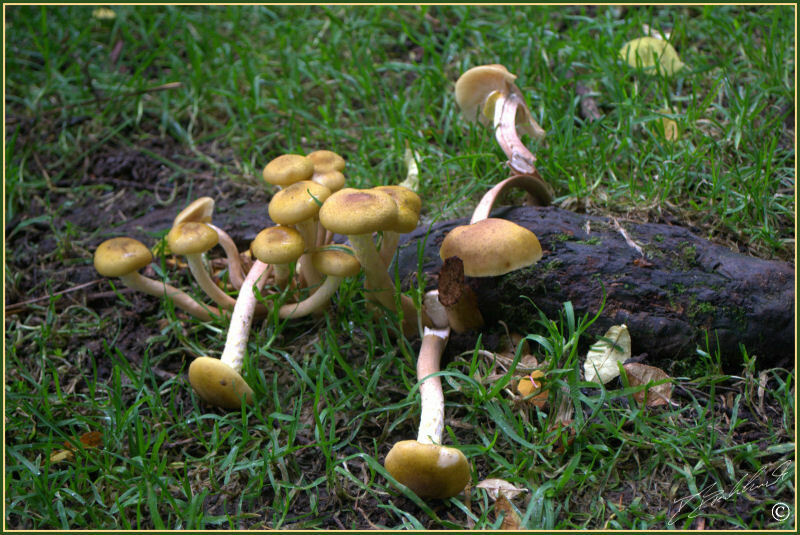 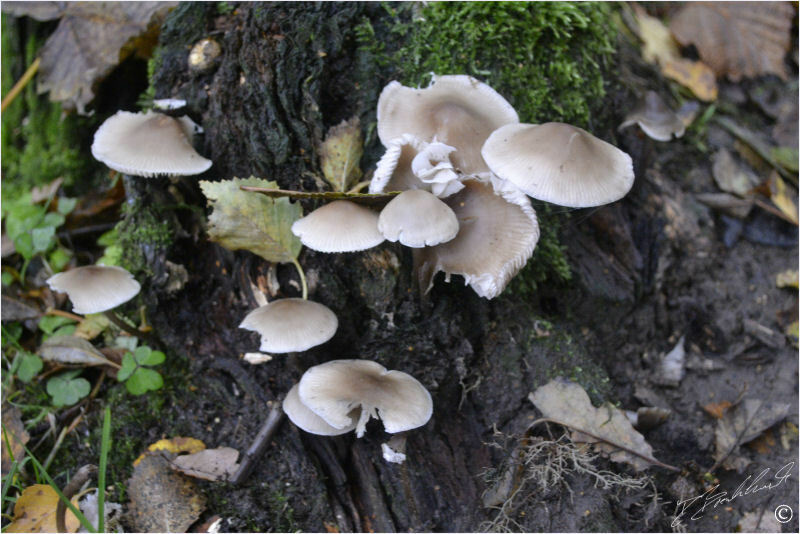 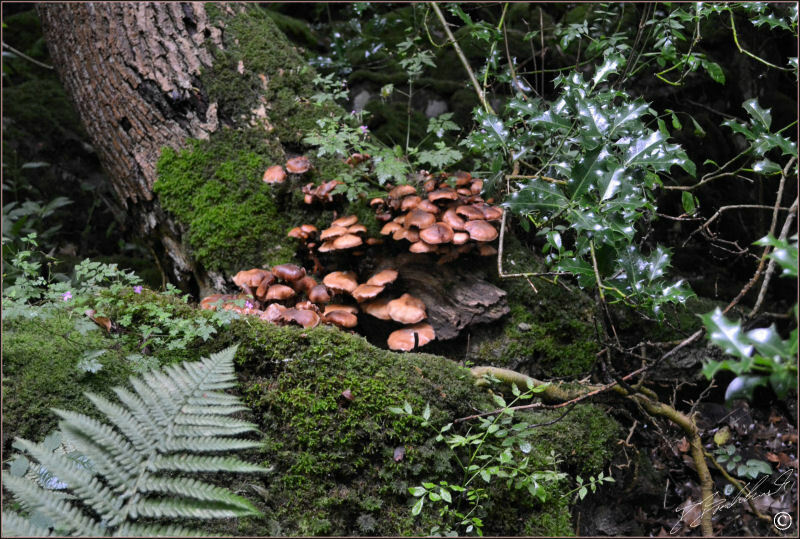 A common and sturdy tree fungi seen throught woodland areas - both photos taken in woods in the Nortb Yorkshire area. 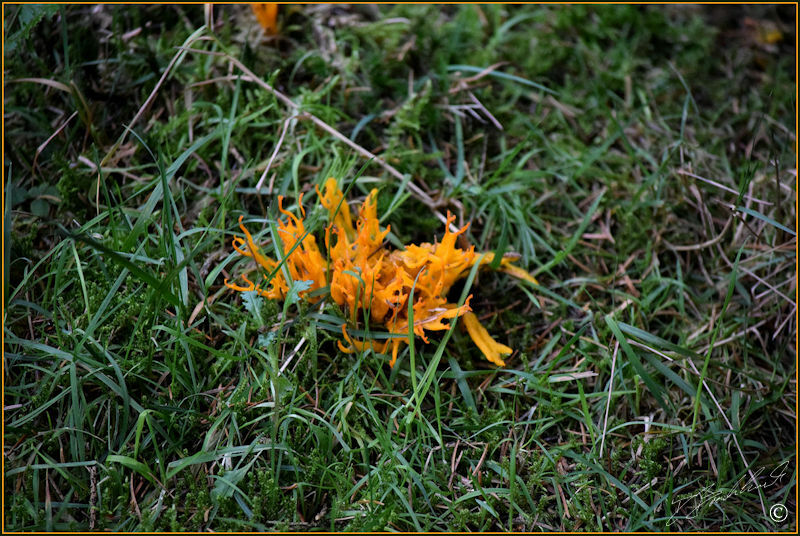 This bright yellow fungi is similar to the above in texture - seen in various locations when out walking - photo taken at the top of Sutton Bank, North Yorkshire. 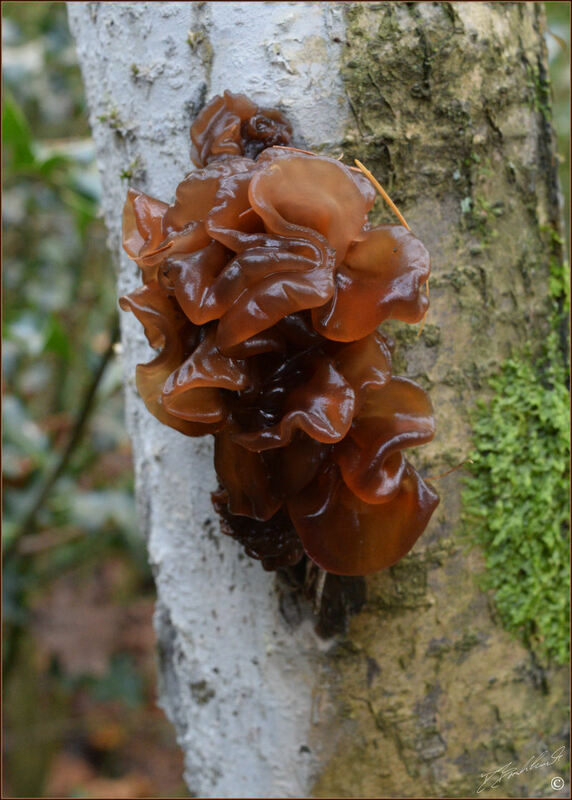 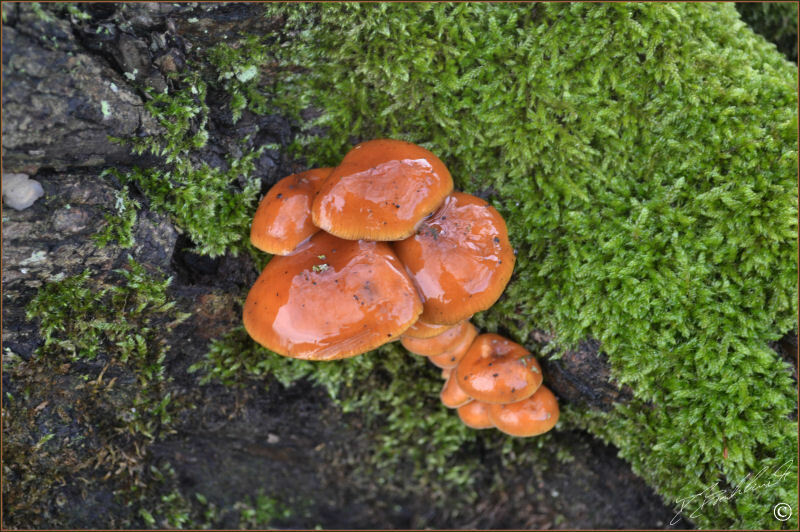 A common wood fungi that both looks and feels like jelly - seen regularly on dead tree stumps - top photo was taken at the Druids Temple woods near Masham - middle and bottom photos taken at Nidd Gorge, Knaresborough, North Yorkshire. 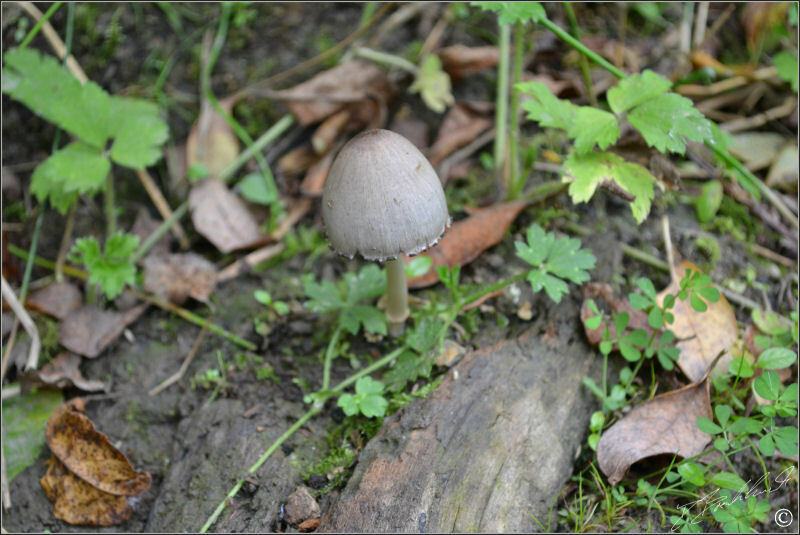 This small Fungi can be seen throughout the year with this little cluster found at the end of December - photo taken at Nidd Gorge, Knaresborough, North Yorkshire. 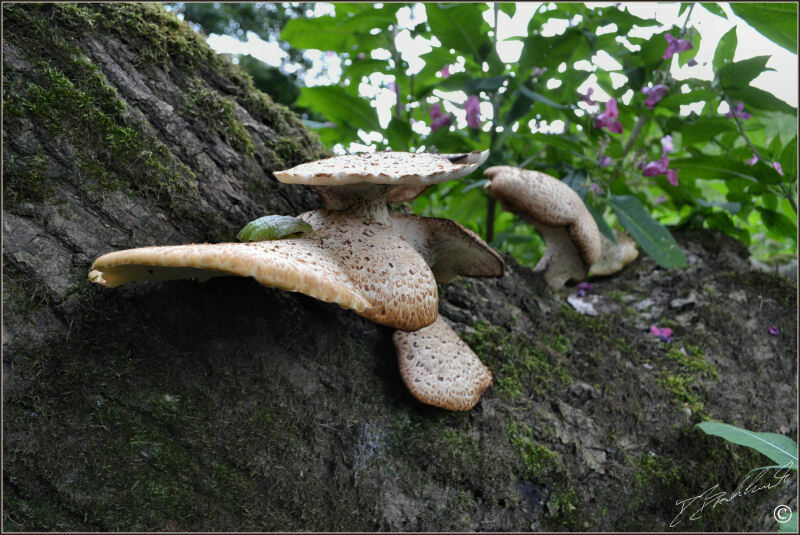 Bracket Funi found late Summer next to a footpath near Knaresborough, North Yorkshire - both photos taken at different sides of the same tree stump. 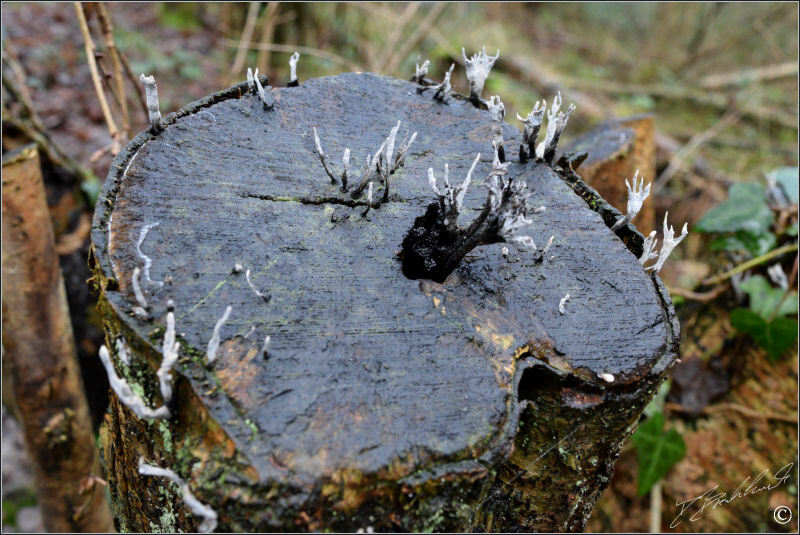 This common tree fungi is often seen growing out of the end of dead tree stumps - the top photo taken in the Brecon Beacons, Wales - the second photo taken in Nidd Gorge, Knaresborough - and the following two photos were taken at Bolton Abbey woods, North Yorkshire. 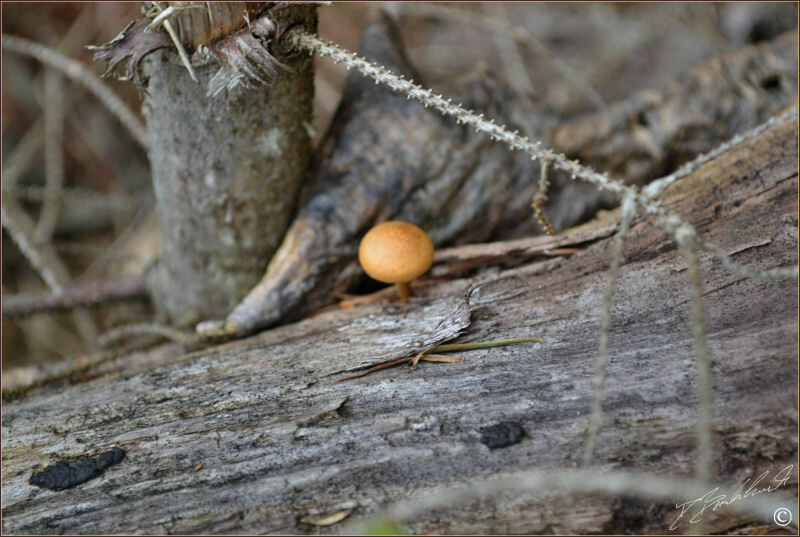 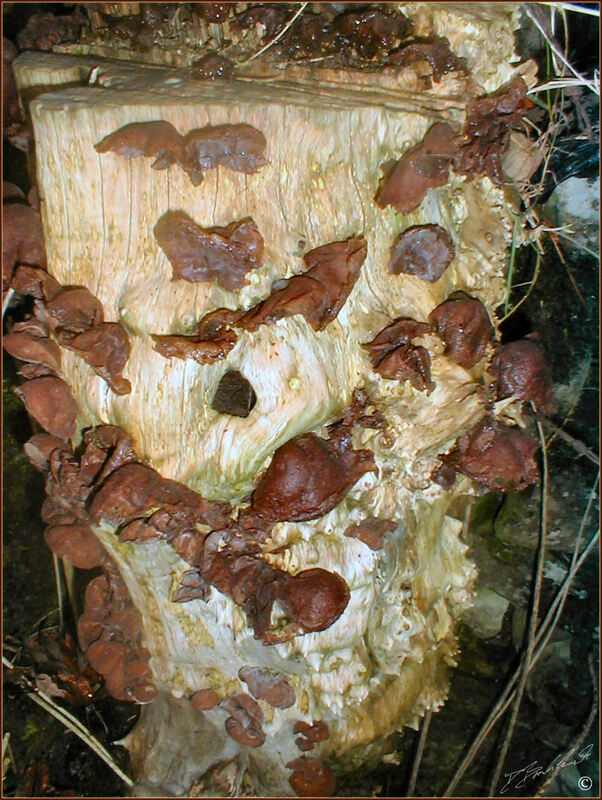 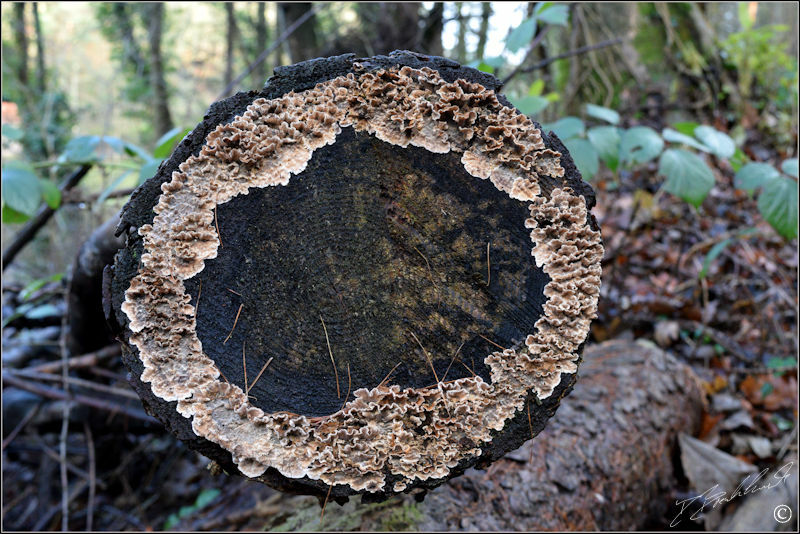 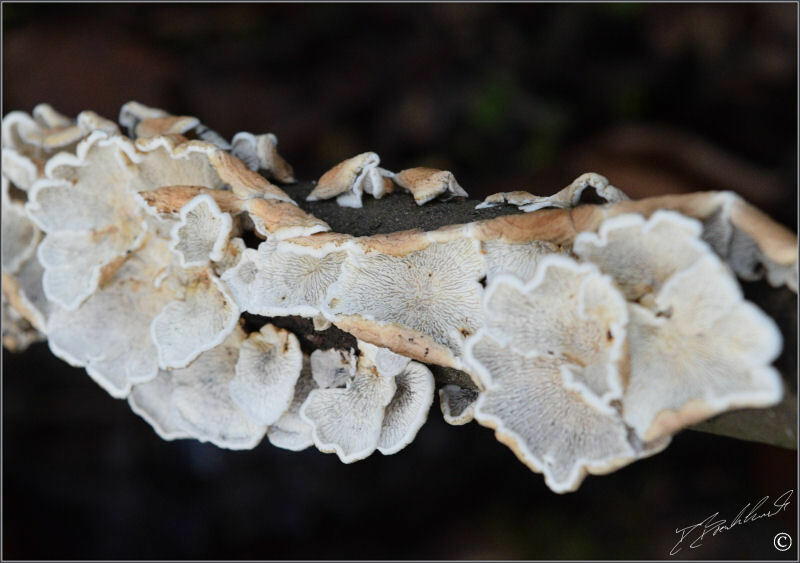 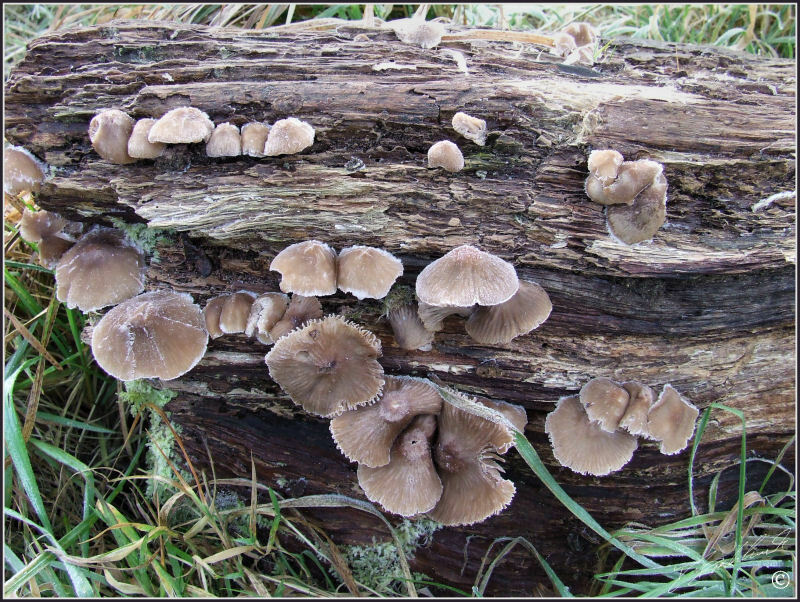 This fungi is a woodland species that grows on dead tree stumps - the top photo was taken in the Brecon Beacons area and the bottom photo taken in woods near Harrogate, North Yorkshire. 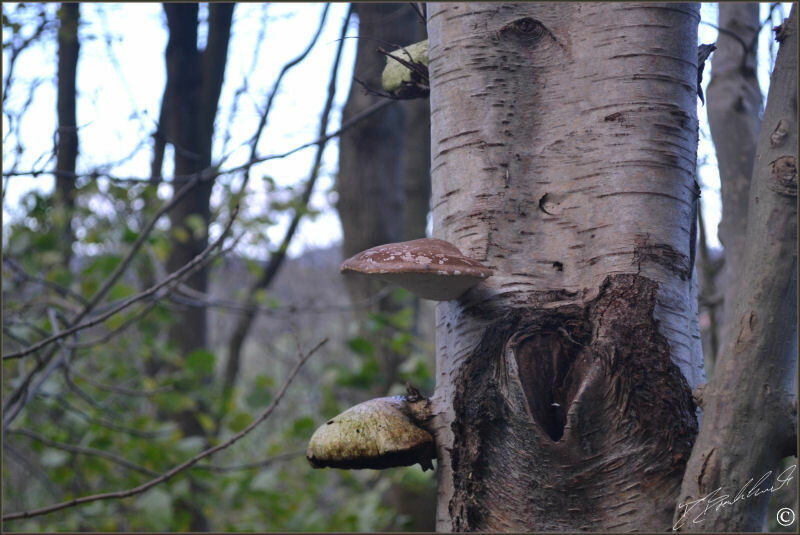 The top two photos were taken late Summer in Nidd Gorge woods near Knaresborough - the bottom photo taken mid Autumn in woods near Pateley Bridge, North Yorkshire. 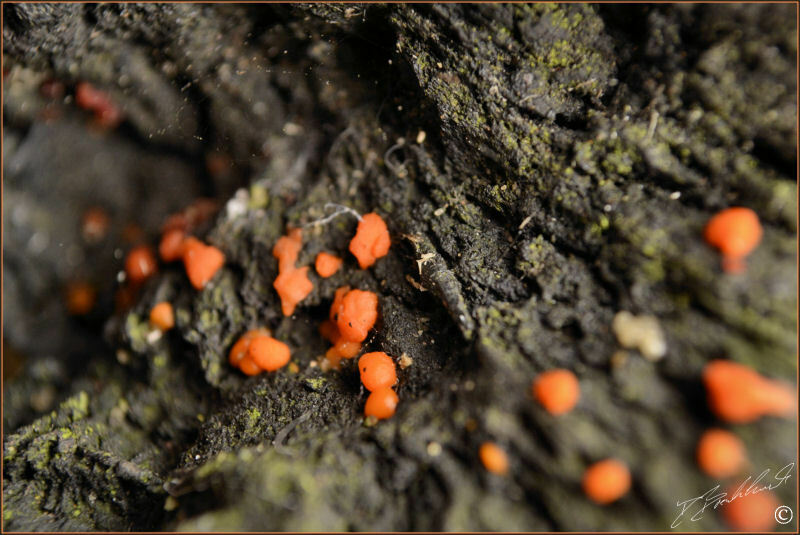 A tiny Fungi found following a damp spell on a piece of dead wood in my garden - this photo was taken close up as each orange spot was no more than 1mm across. 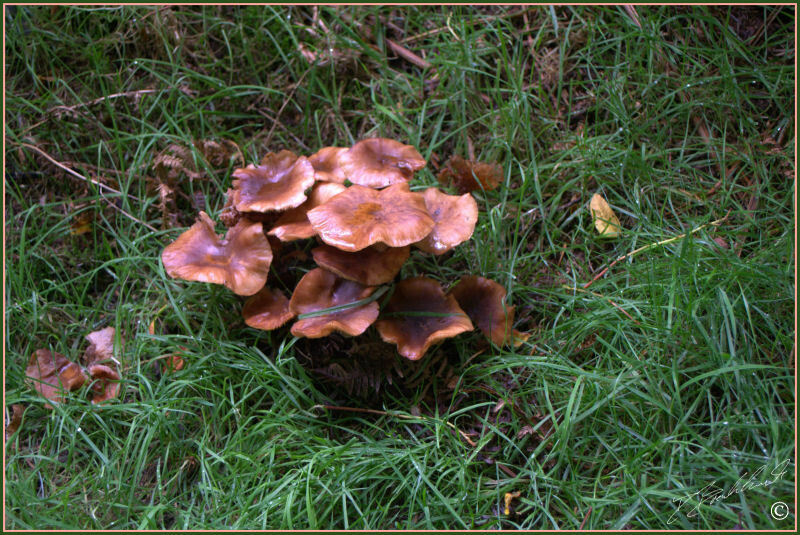 I'm not quite sure re identification - found Early Autumn - photo taken in woods near Helmsley, North Yorkshire. 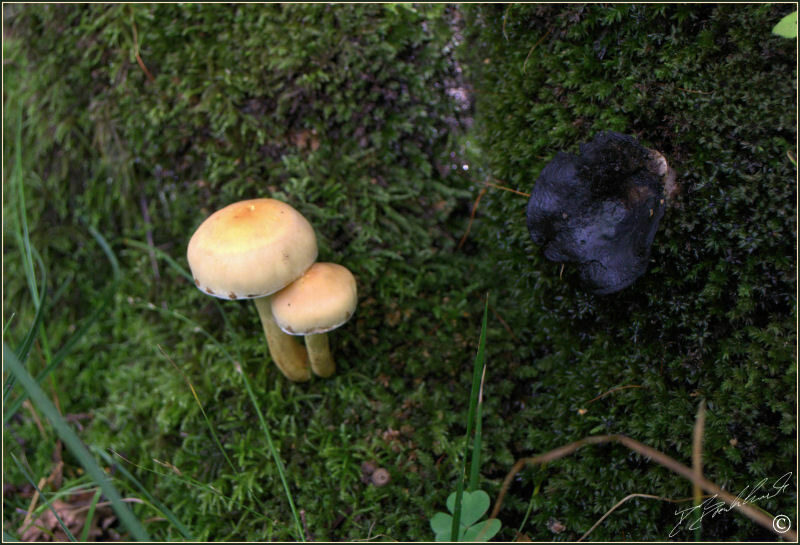 The above photos are of the same species although they do look different - photos taken in Shropshire. 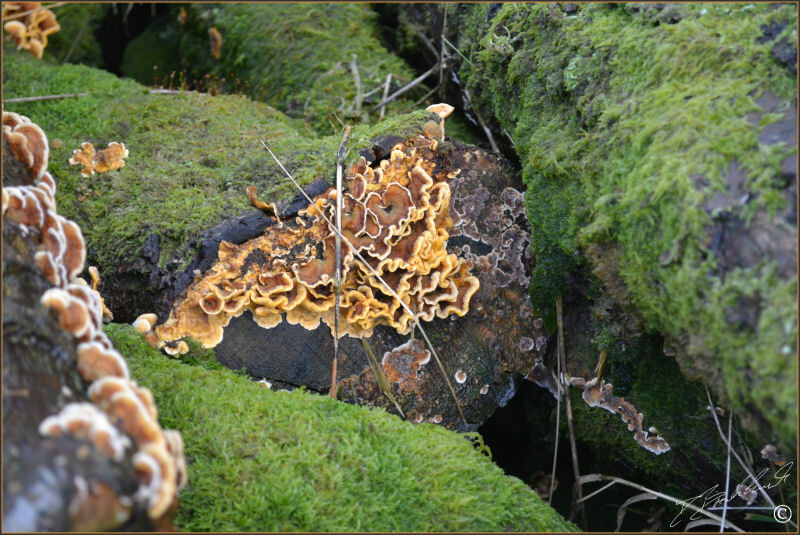 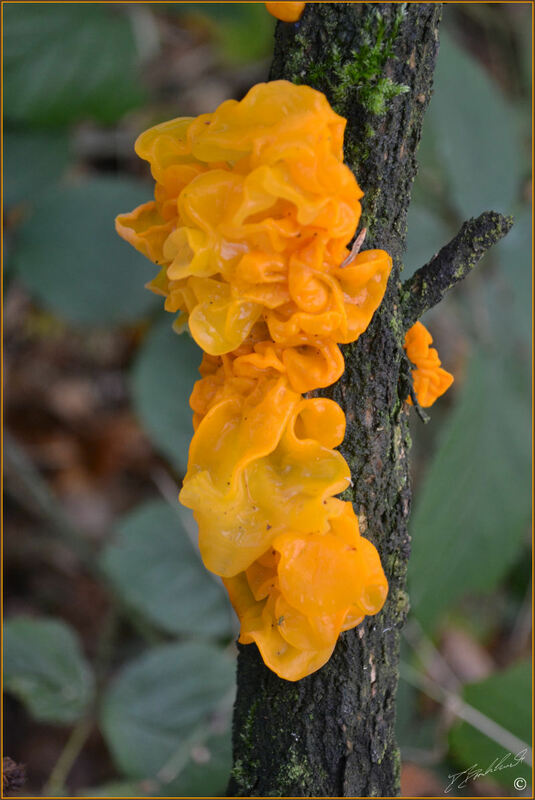 This fungi looks like it's past its best - photo taken early Autumn in woods near Knaresborough, North Yorkshire. 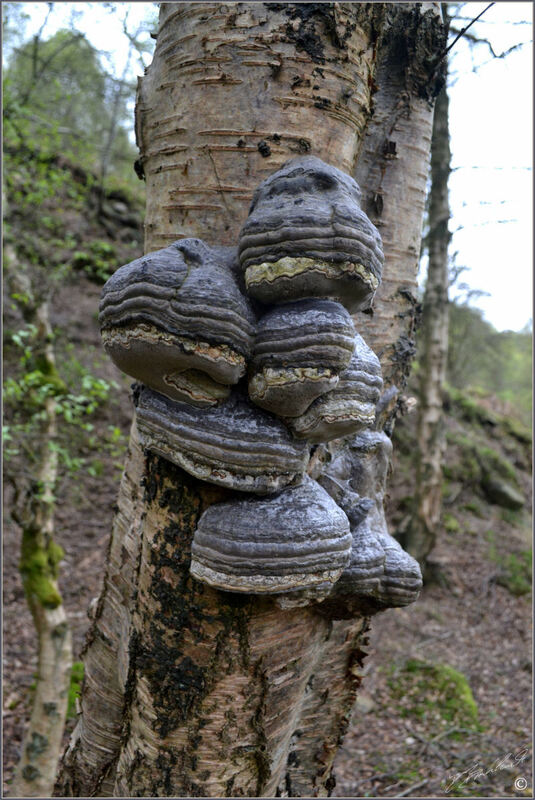 This fungi was found in growing up a dying Silver Birch in mid Autumn - photo taken in woods near Brimham Rocks, North Yorkshire. 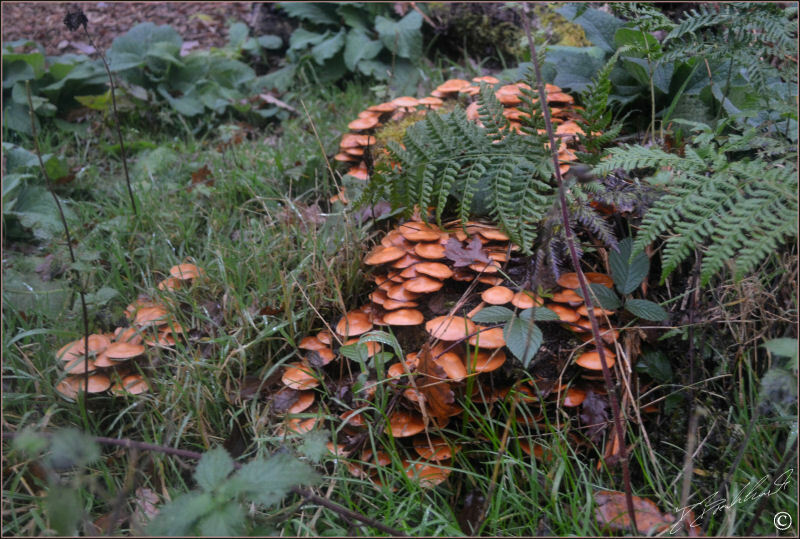 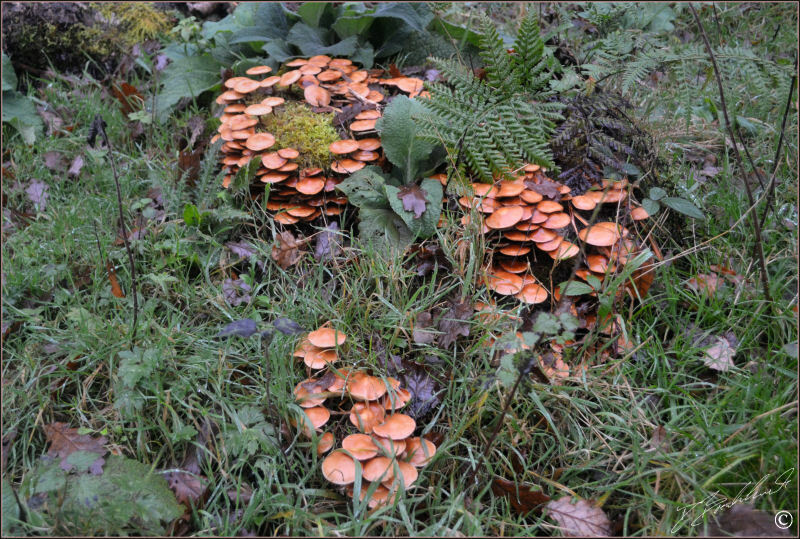 An abundant cluster fungi found in various locations - the top photo was taken in the Brecon Beacons area and the bottom 2 in woods near Brimham Rocks, North Yorkshire. 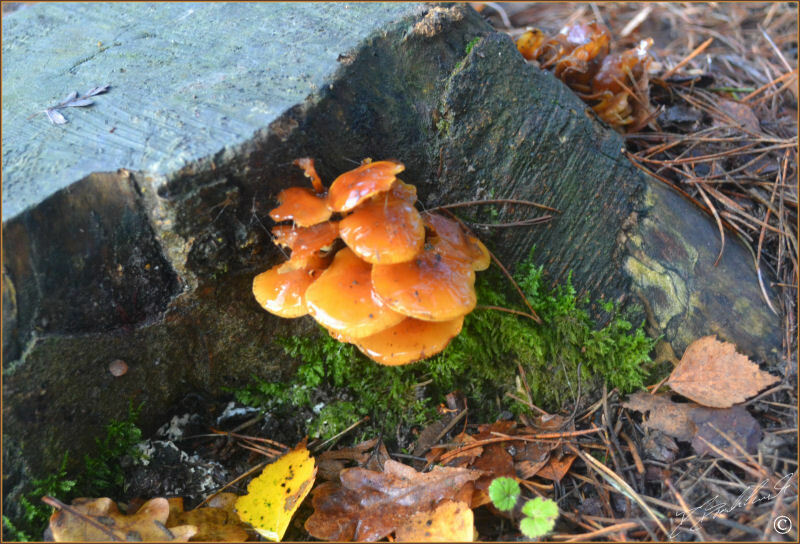 This small bracket cluster is slowly covering this dead tree stump - photo taken in woods near Pateley Bridge, North Yorkshire. 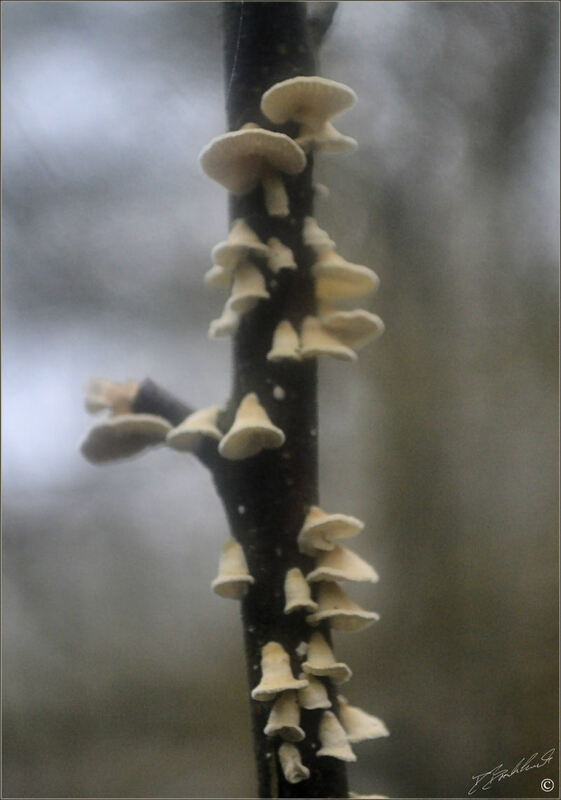 This small bell shaped fungi was growing all over a series of dead twigs in a damp boggy woodland - Photo taken in woods near Hole of Horcum, Whitby, North Yorkshire. 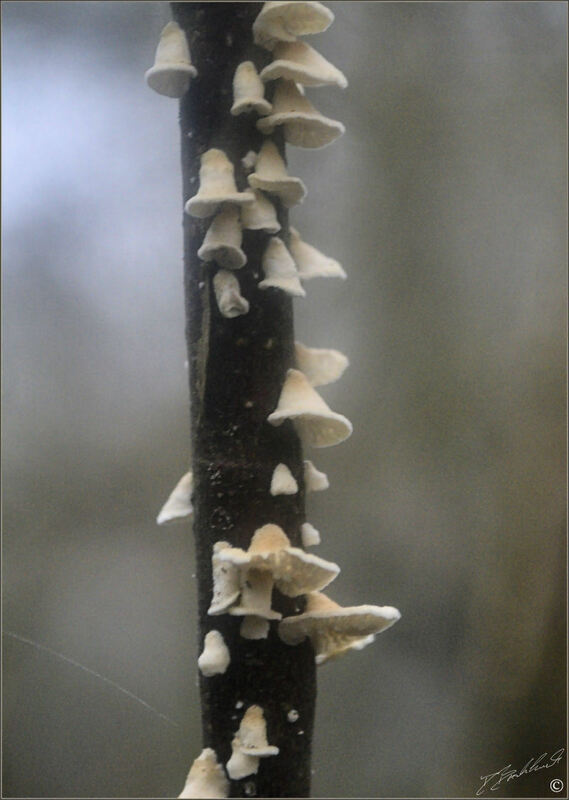 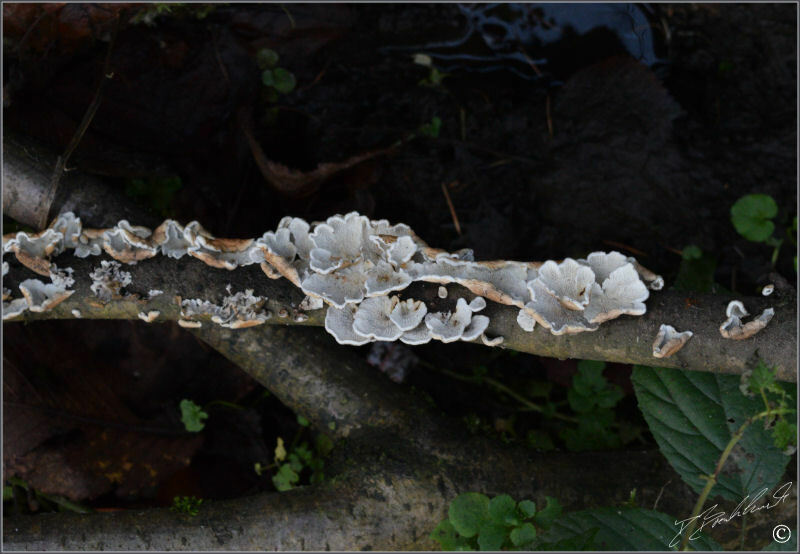 Another small white fungi that is slowly covering this twig - photo taken December in Nidd Gorge, Knaresborough, North Yorkshire. 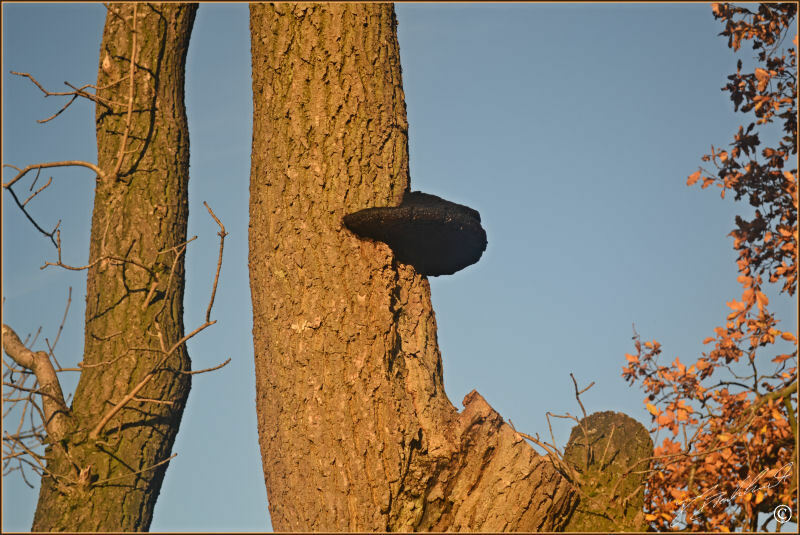 This tree cluster looks like it's drying out in the afternoon sunshine - photo taken mid Autumn at Boroughbridge, North Yorkshire. 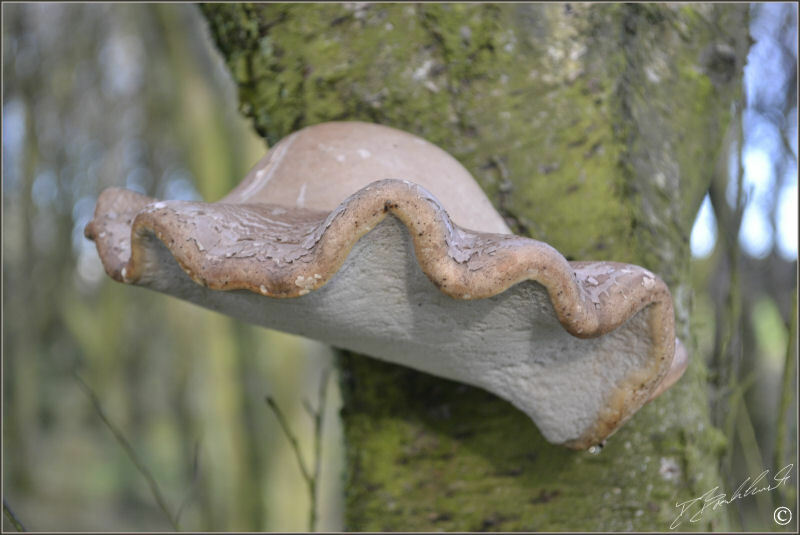 A bracket Fungi growing on a fallen Silver Birch branch is nicely camouflaged amongs the fallen leaves - photo taken at Nidd Gorge, Knaresborough, North Yorkshire. 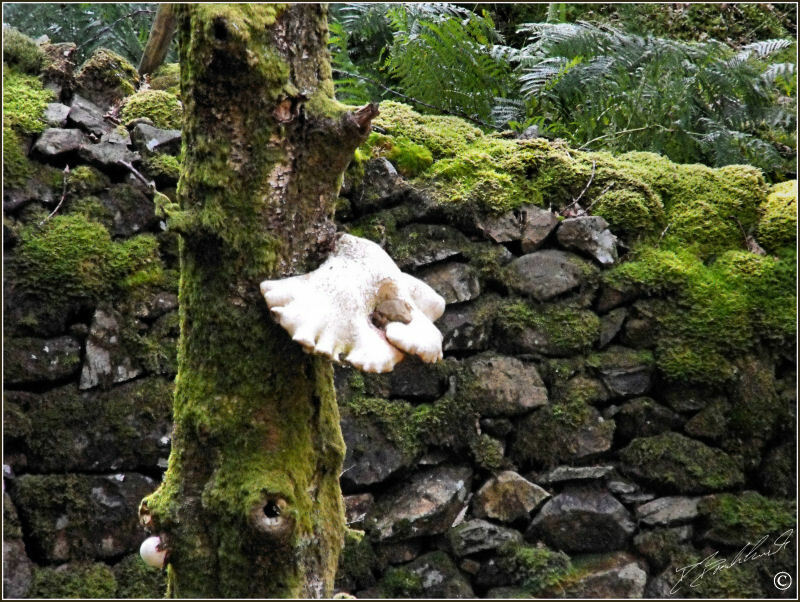 A small pair of mushrooms popping out of the bottom of a mossy tree trunk - photo taken in woods in the Brecon Beacons area. 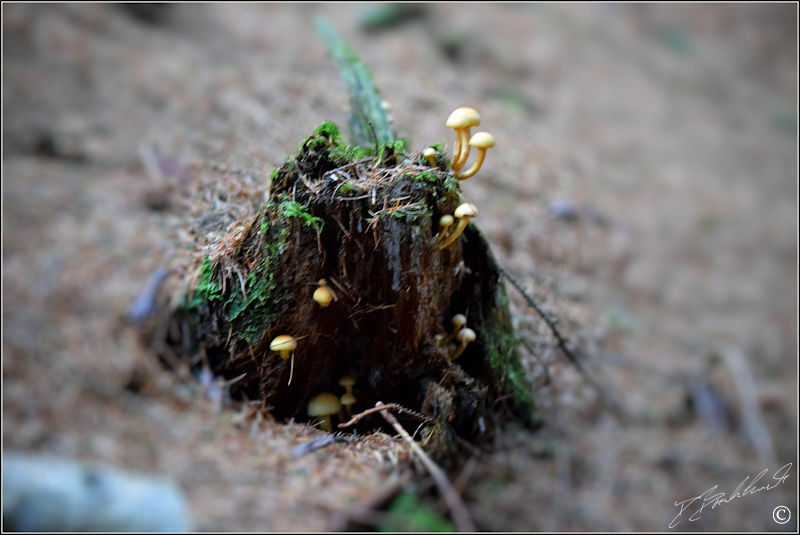 A tiny singular mushroom growing through a crack in a fallen branch - photo taken one September on a path next to woods in Shropshire. 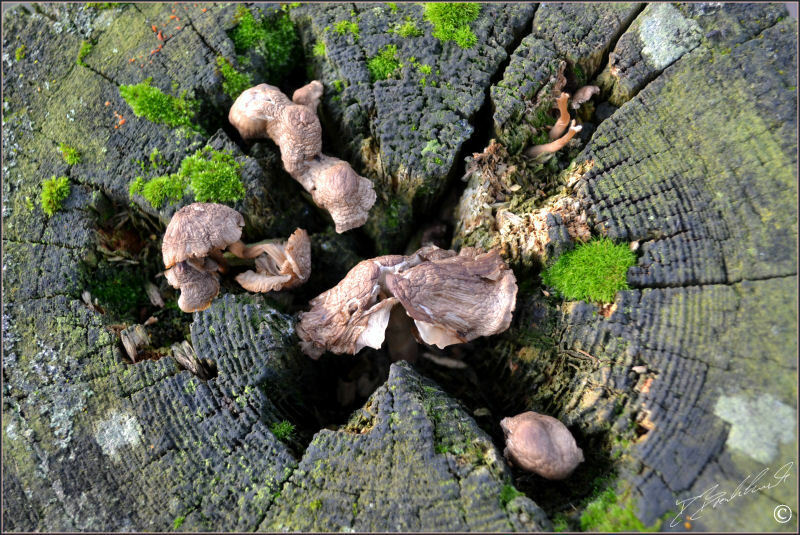 Another small singular mushroom growing through a fallen and rotting tree branch - photo taken one September on a path next to woods in Shropshire. 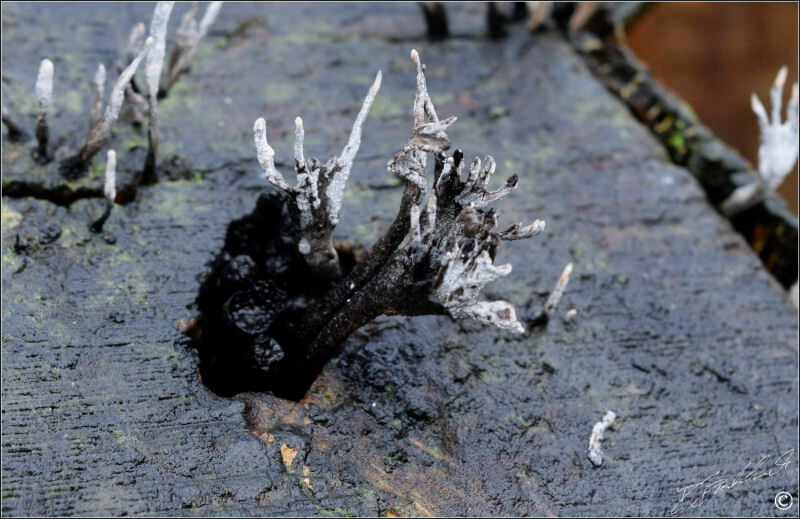 I'm not going to try and identify this fungi growing in the top of a fence post - photo taken near North Rigton, Harrogate, North Yorkshire. 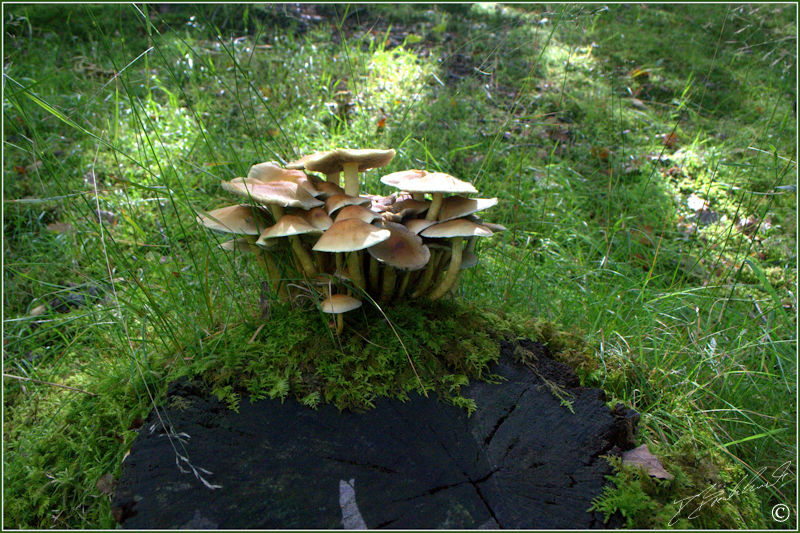 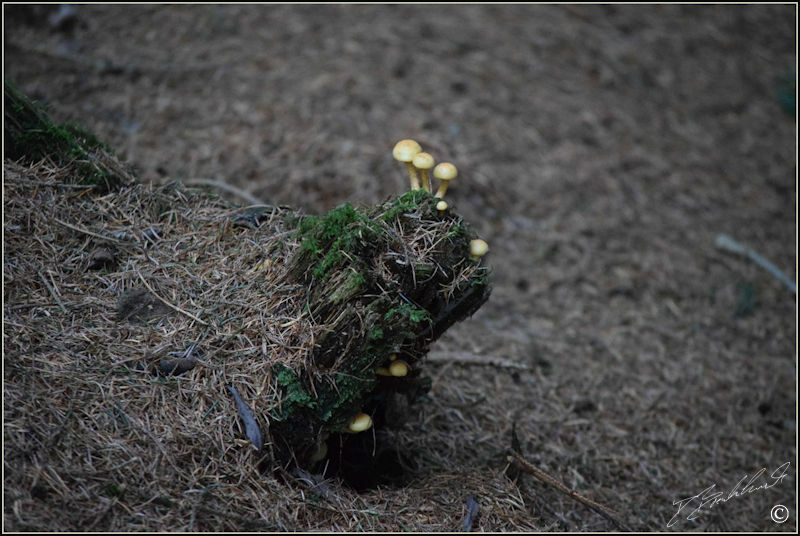 A small but pretty little stump of wood with mushrooms growing from every area - photos taken in wood next to Thruscross reservoir, Harrogate, North Yorkshire.